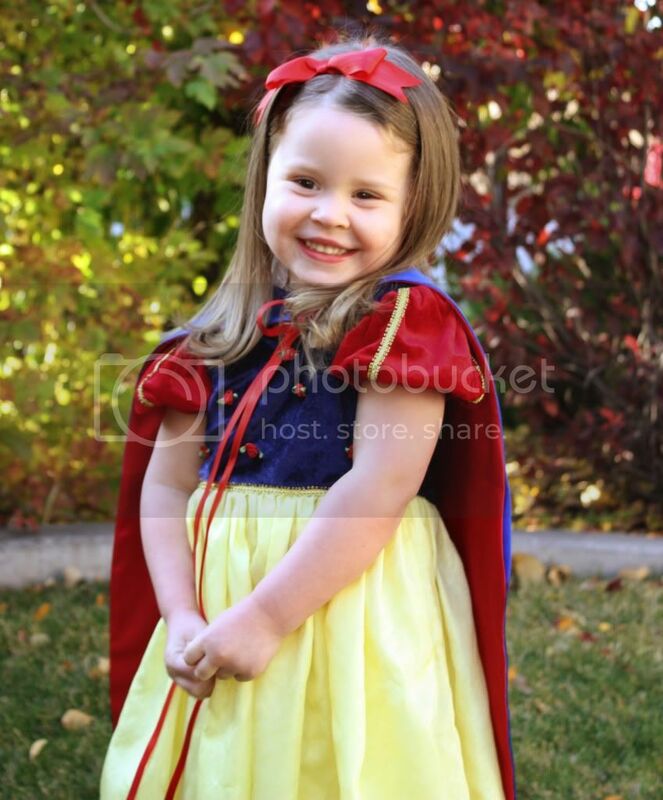 This little girl has been itching for Halloween to come. She was so excited when I finally let her put on the whole ensemble. I snapped these just behind our house before we went to our ward party. 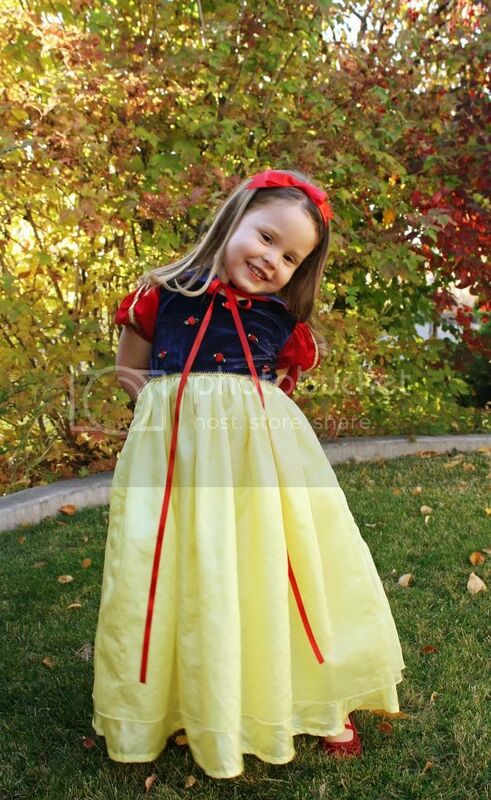 She has actually never seen the movie Snow White, but she was more than happy to be any princess. 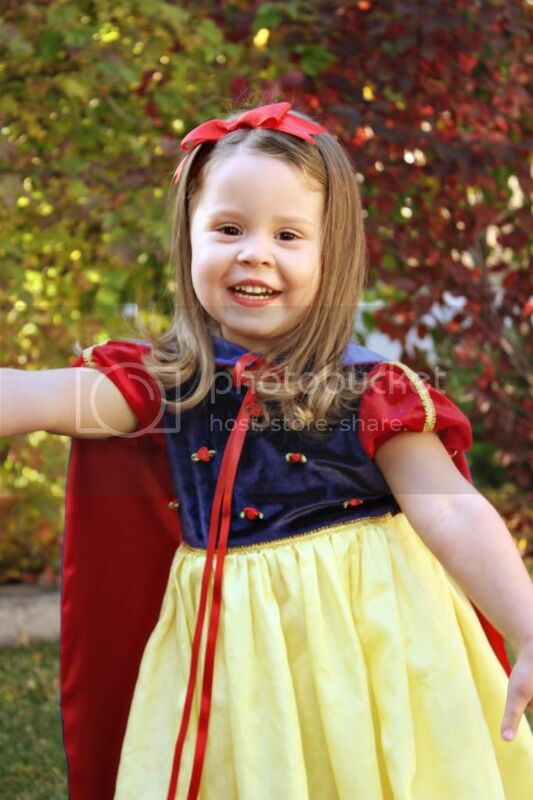 She loved the Halloween party and played every game they had. I think her favorite was the cake walk. We walked in, she started walking to the music, it stopped and she won a cupcake, all in about 30 seconds. She also went "fishing", ate a donut off a string and got her face painted. We're gonna go trick-or-treating this weekend for the first time. I think she'll enjoy it. Hamming it up + getting candy, yep, I'd say so. We've been busy getting ready for winter over here. As I'm typing this I'm drinking hot chocolate out of my giant mug that I just bought, after realizing we didn't own a single mug. I heart fall! Seriously, I promise to have some more scrapping stuff up in the next few days. Love the costume! Do you remember where you got the cape? Or does it have a brand name? Thanks!